Ding kilns were one of the five renowned kinds of kilns of the Song Dynasty (960-1279) in ancient northern China. Ding ware was mainly white porcelain. The central kiln site was located in Jianci Village in Quyang County of North China’sHebei Province. Scientific excavations at Ding kiln sites have shown that the central kiln at Jianci Village covered an area of 1.17 million square meters, manufacturing mainly white porcelain. Meanwhile, it also made porcelain vessels of green, black, and dark brown glazes. A considerable number of vessels were decorated withdragon and phoenixpatterns. Thedragonand phoenix were symbols of the emperor and empress — the supreme rulers — and only they were qualified to use such vessels, the manufacture of which was mainly for the imperial court. Yet studies have shown that the kilns produced many vessels for the common people, among which were more than a few highly artistic objects. 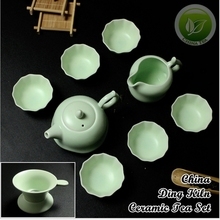 Ding ware was of excellent quality, being made of fine, durable, pure white clay. 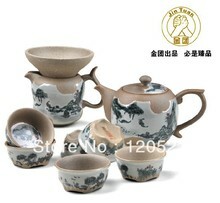 The body was soft and thin and the vessels were regular in shape and evenly glazed, the glaze containing titanium oxide. 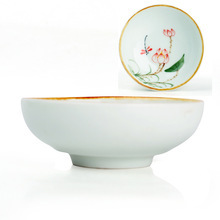 Firing turned the white glaze slightly yellow, resulting in a subdued ivory-white ware. The Ding kilns used the new technique of stacking porcelain vessels on top of each other on a support ring during firing to increase output, again facilitating porcelain production, particularly in the aspect of glazing (as the vessel mouth-rims could not be glazed lest they stuck to the pads between the vessels and became rejects.) Ding mouth-rims were generally unglazed and rough, as described in books of the time. 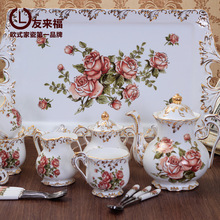 But the royal family, high-ranking officials, and nobles were unwilling to use such vessels, so potters smoothed the mouth-rims with gold, silver, or copper rings, making Ding white porcelain even more costly. 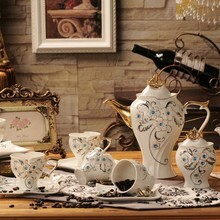 Ding porcelain decoration was applied by incising, engraving and impressing patterns, as well as by molding. Incised patterns were often used for vessels of the early period. Tools shaped like fine bamboo slips were used to incise curves when the clay was fairly dry. Ding ware had the following decorative characteristics: prominent theme, concise, vigorous strokes, and various designs such as plucked twigs of flowers, interlocking flowers, wave patterns, dragons and phoenixes, swimming fish, or a pair of mandarin ducks as symbols of marital harmony. Impressed designs were fairly prevalent on the vessels of late Northern Song. The designs were engraved on the molds and impressed on the vessels in the course of shaping them. They were meticulously arranged and often similar to the designs on silk fabrics that were famous and fashionable at that time. Porcelain vessels of Ding ware were popular and widely valued for their high artistic achievement. Different places vied with one another in imitating Ding techniques, giving rise to several sub-schools of Ding ware. Manufacture continued up to the Jin and Yuan dynasties (1115-1368).